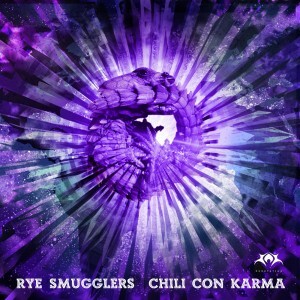 Behind the Rye Smugglers project are two veterans of Finland’s psytrance scene, Timo Kollin (AKA Tim Duster) and Kristian Aro (AKA Nebula Meltdown). These experienced music heads joined forces with the idea of creating a new form of mature, intelligent, and very danceable psychedelic trance somewhere in between progressive, new school Goa trance, and the U.K. full power sound. After many long months of studio work they are ready to unleash Chili Con Karma on Sun Station Records, Russia. This release is pure morning trance, full of colourful melodies, tribal grooves, and original live instruments infused with a strong social commentary. Don’t miss this promising project with all the potential to become one of the new stars at the forefront of psychedelic trance music! Mastering by Colin OOOD with artwork by Joel Peltonen. MP3 Download | FLAC Download | WAV Download · Download count: 8,767. This release just can’t contain itself … 5 star work, every track! Great Work! The first song reminds me of Kingston Wall btw. Really nice atmospheres and grooves! Crystal Bodies & Customs Maiden are my favs. heey man!!! nice EP and upload. you just wanna change the bpm of “crystal bodies”, but is 142. and “device manager” is 143. All tracks are great but “No one home” is true masterpiece. Thank you guys. Brilliant collection of tunes. Energetic, deep’n’dark and uplifting.